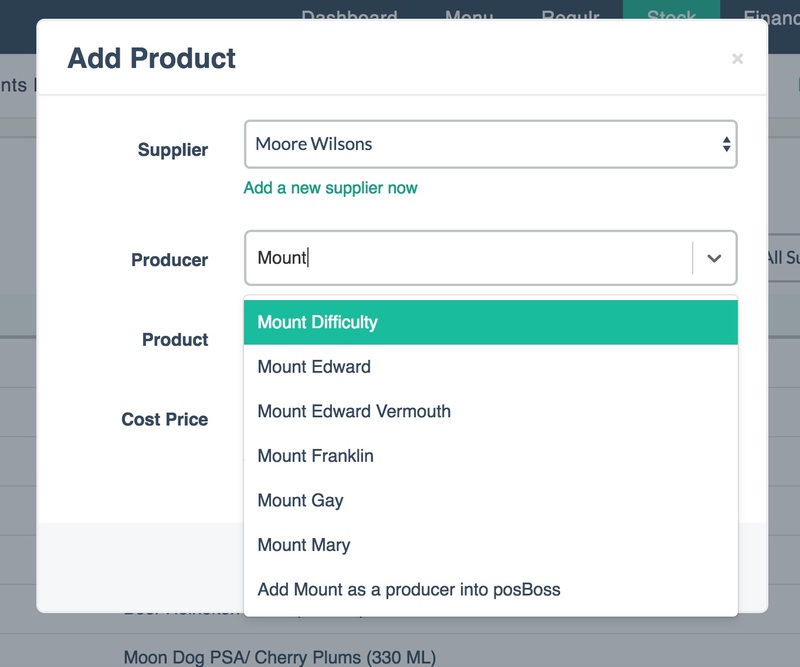 Products: Search or Create all the products you use for ingredients in the system and add them to your Products list. Recipes: Create recipes on your items. Report: See what’s moved in the ingredients moved report. Products are the ingredients used in a recipe. They could be anything from an individual bottle of soft drink sold to an ingredient, such as flour for a scone. 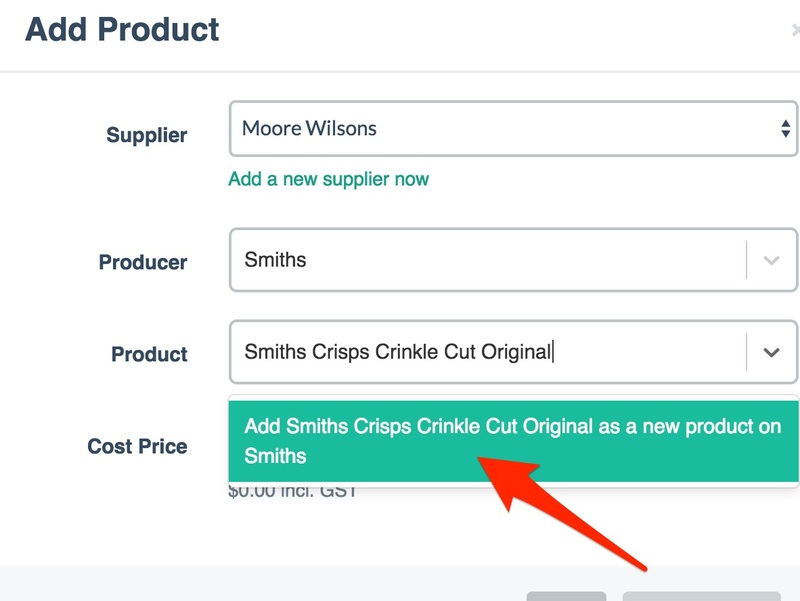 Products are created on the Menus page or under Stock > Products. 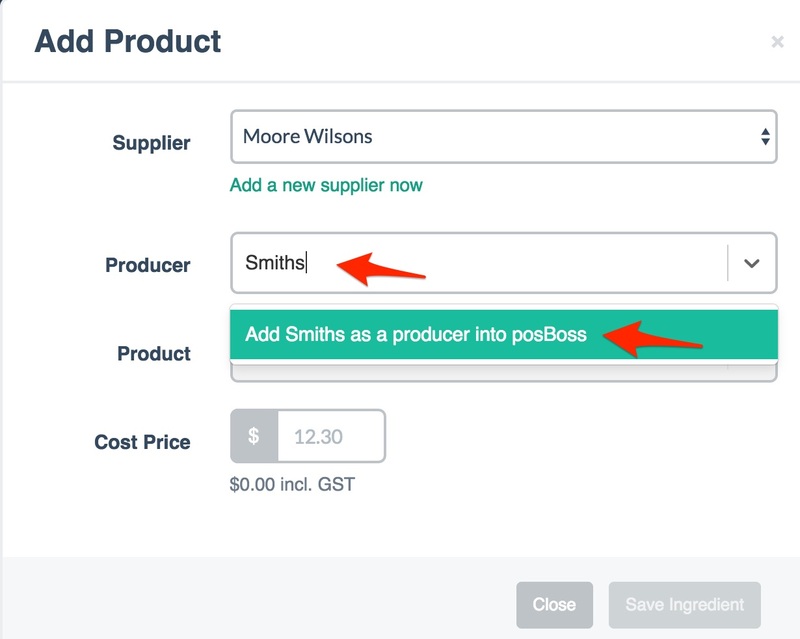 Search for the producer and Product from our database by typing in the name in the Producer field first. A list of corresponding products will appear. Select the product you’re after. Enter in the cost price (exclusive of GST). Can’t locate the Producer or product? 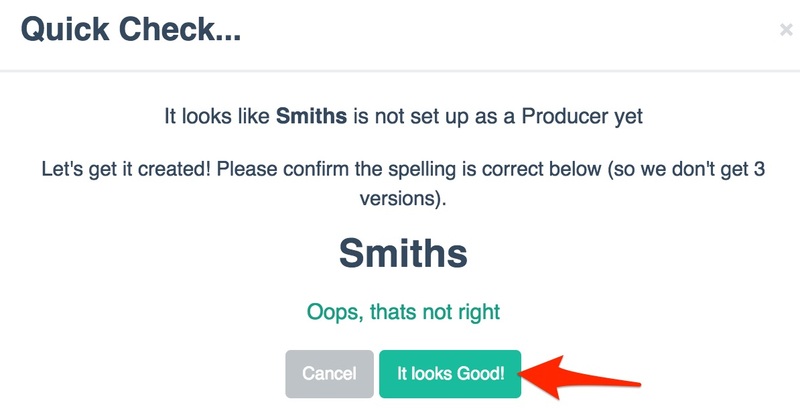 Double check your spelling and press the It looks Good button if correct. If you need to change it, press Ooops, that's not right. Once the Producer is added, Type in the Product name and press the green field below to Add. Please note: You should add in the Producer name again here, otherwise reporting won't be as effective. This is completed within the Item itself. Create or edit an item on your Menu page. Near the bottom you will find the recipe section. 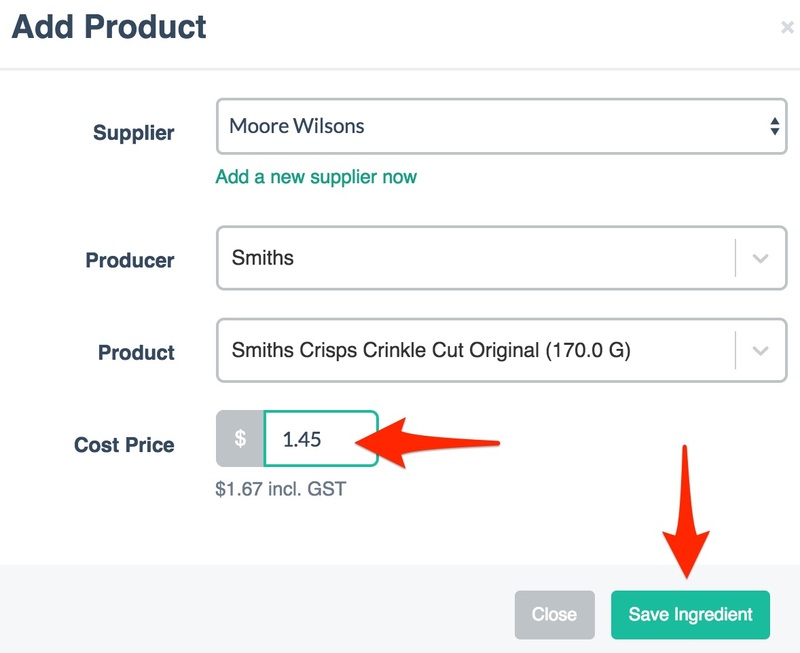 Click Enter Costing to open up the recipe builder. Here you will create the recipe for the item using the products you have set up earlier. Click Add Ingredient. At this point you’ll need to have worked out the quantities of ingredients that make up the individual item. 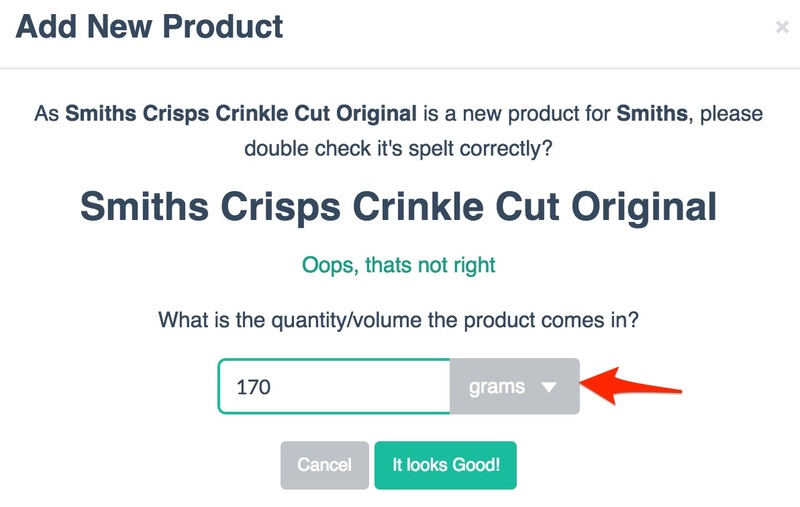 Add your ingredients by typing in the name field and selecting from your products displayed. Enter in the amount of the ingredient needed for the recipe. As you add ingredients, the costing calculations at the top right of the section will update. The Cost Price and GP% can also be seen on the item list on the menu page. And slo on the Items Moved report on the Stock page (once the item has been sold in posBoss. To track the movement of your ingredients in real time, head to the Stock tab, then Ingredients Moved. Click the triangle icons to sort by column. Want to set up your suppliers?